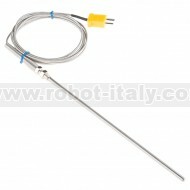 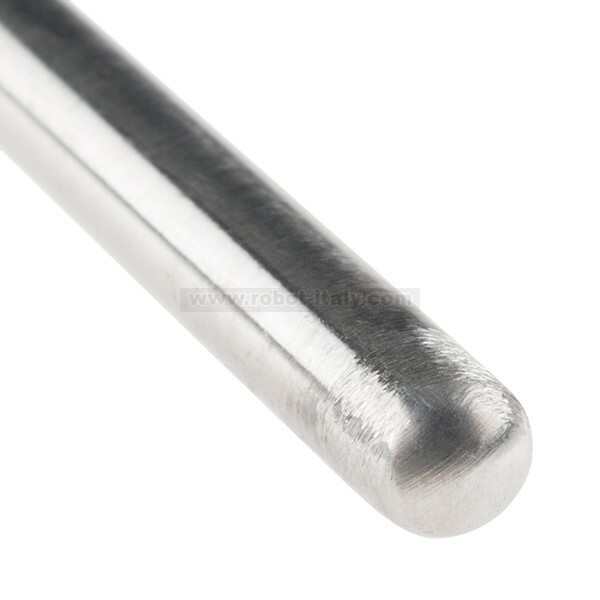 This is a stainless steel, Type-K Thermocouple probe. 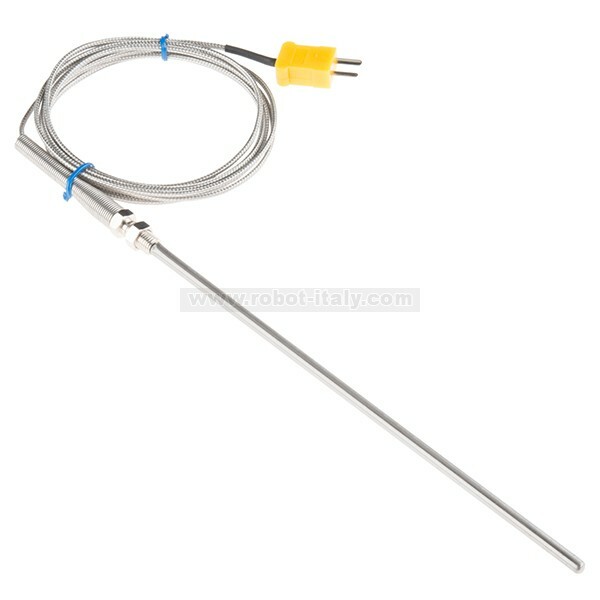 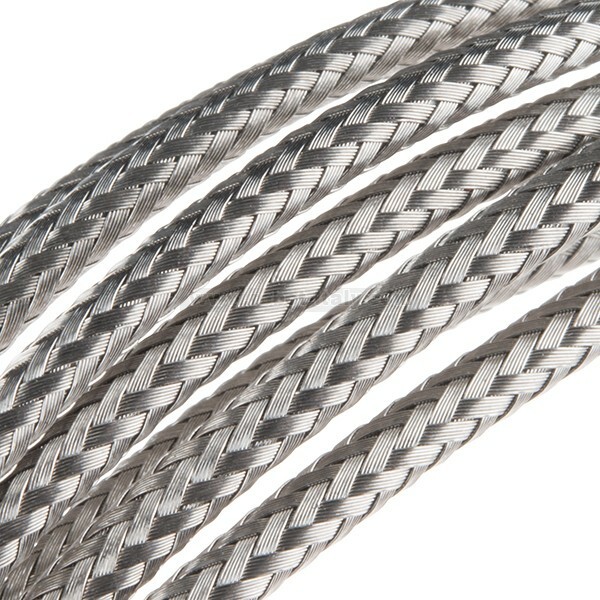 A thermocouple works by taking two wires made of dissimilar metals, connecting them at the two ends, and making a temperature gradient between one end and the other (a ‘hot’ end and a ‘cold’ one). 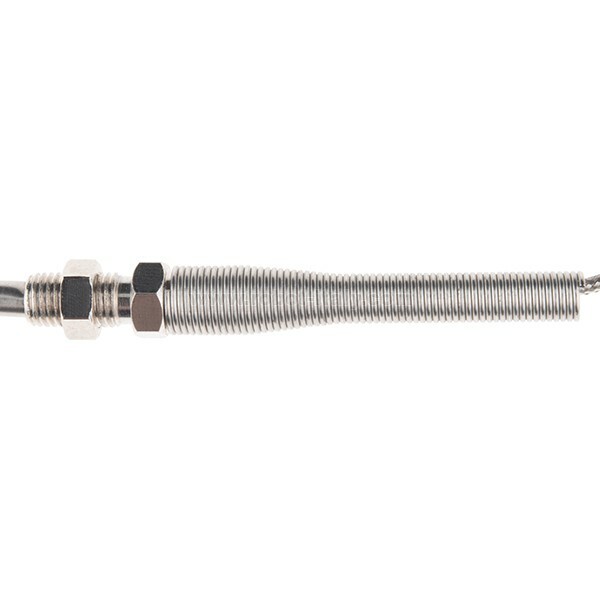 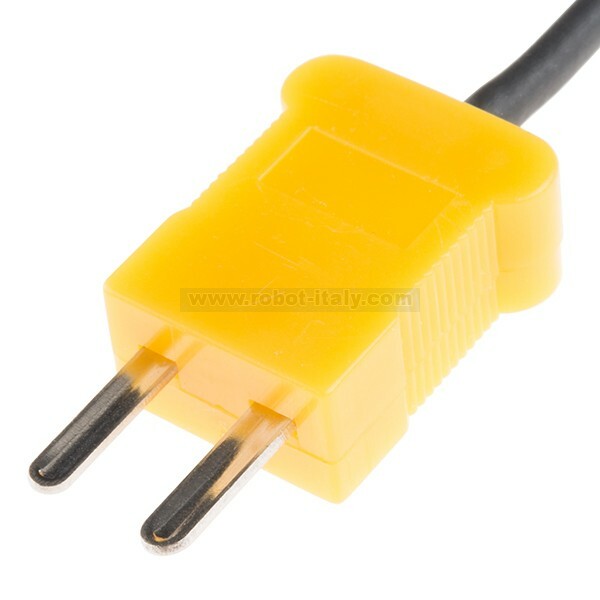 This Thermocouple Connector is perfect for bridging the gap between Type-K thermocouples with standard connectors with a PCB.